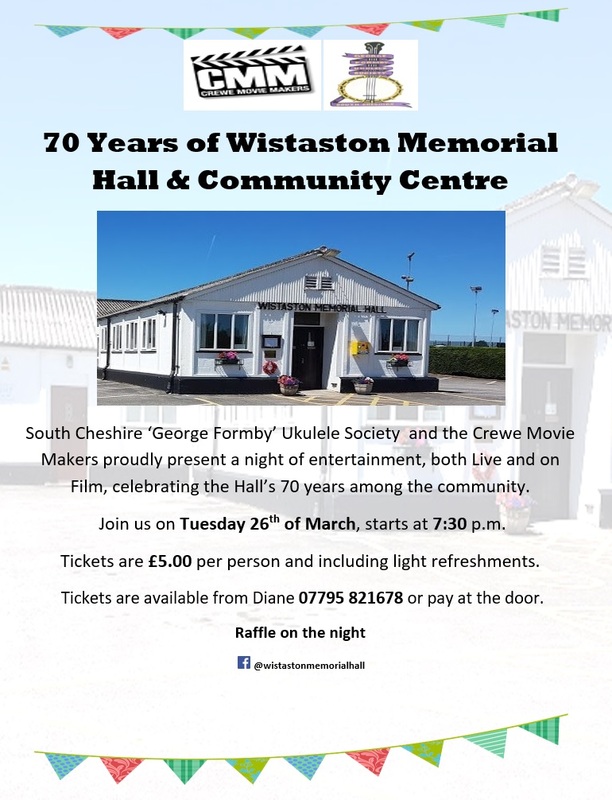 South Cheshire ‘George Formby’ Ukulele Society and the Crewe Movie Makers proudly present an event celebrating 70 years of Wistaston Memorial Hall & Community Centre on Tuesday 26th March 2019 (7:30pm start) at the Wistaston Memorial Hall & Community Centre, Church Lane, Wistaston. 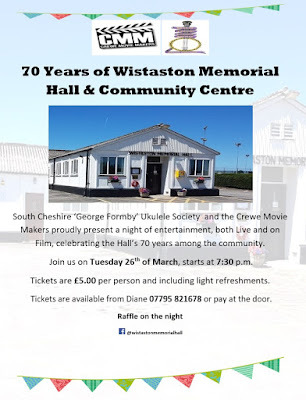 The event will be a night of entertainment celebrating the Hall’s 70 years among the community will include live music, drama and a short film about the Hall. Tickets = £5 per person, including light refreshments. Tickets are available by phone: 07795821678 or pay on the door. The Memorial Hall was built in memory of sixteen men from Wistaston who died in the Second World War and was officially opened on Saturday 26th March 1949.